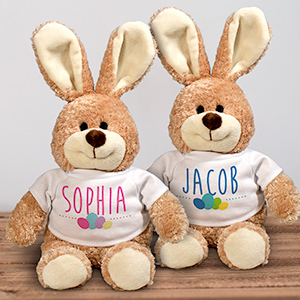 See your kids' faces light up this Easter when you give them their very own personalized Easter bunnies, customized with a message just for them! 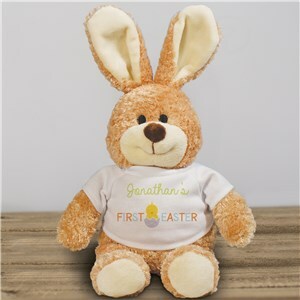 Here at GiftsForYouNow, we offer a variety of stuffed personalized Easter Bunnies for your little ones, all personalized free! Find your favorite design and choose your customization. Shop today! Our personalized Easter gifts are great for everyone on your Hoppy Easter list! 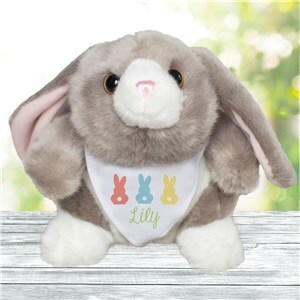 Check out even more great ideas like our Easter Garden Flags - or check out our entire collection of personalized gifts for gift giving occasions year round. 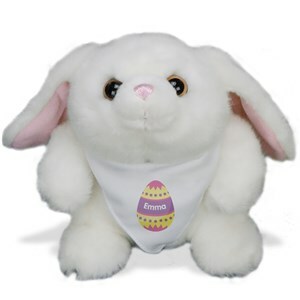 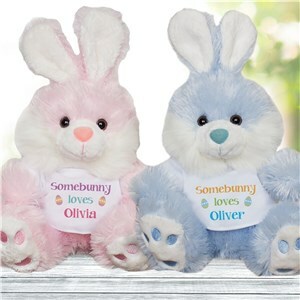 Sweet and cuddly stuffed animals for Easter are a classic and lovable addition to any Easter Basket! 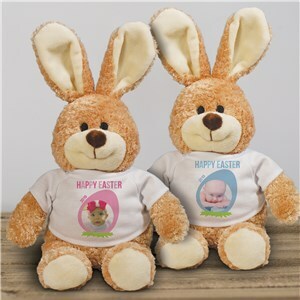 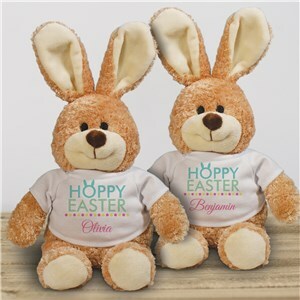 Imagine a fluffy, huggable personalized Easter Bunny, tucked under your favorite little one's arms, or snuggled in close after a busy morning of egg hunts and family events! 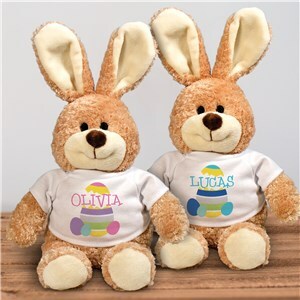 As an added bonus, you can have these charming Easter Bunnies personalized free! 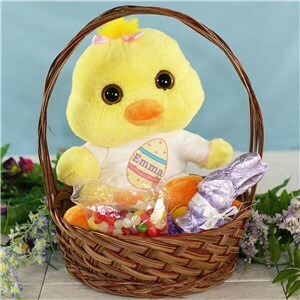 And besides the traditional stuffed Easter Bunny, a sweet plush Easter chick will do the trick and would look terrific in photos, too! And don't forget, this yellow baby chick comes wearing it's own personalized shirt! For even more ideas, check out these top Easter basket stuffers, Easter Gifts for Kids and more!